Visit a spacious, Prairie-leaning kitchen. A large buffet anchors one end of the room, which opens to a dining area on the sunset porch. 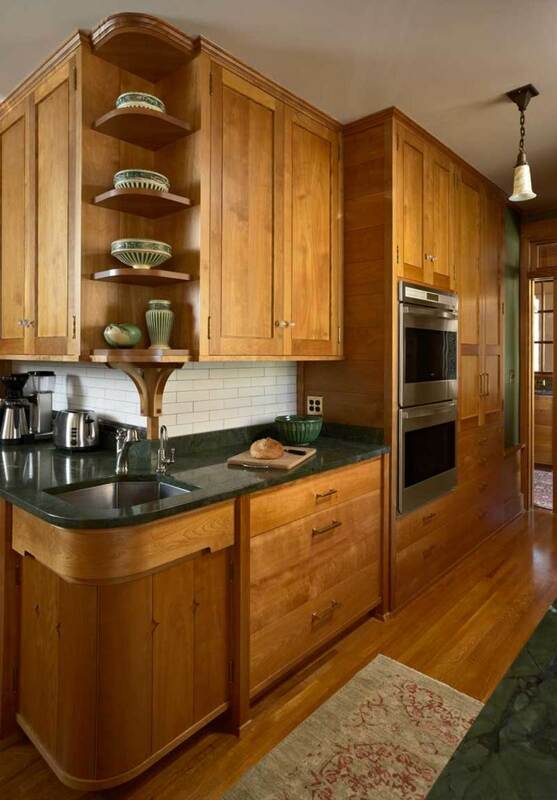 Part of a whole-house renovation and addition to a 1905 house, this kitchen is in Deephaven, Minnesota, on Lake Minnetonka. The kitchen had been the worst thing in an otherwise handsome house. It was compact, had suffered a 1980s renovation, and was situated “inland” at the back of the house, away from the lake. Designed for servants, the old kitchen was isolated from main rooms. 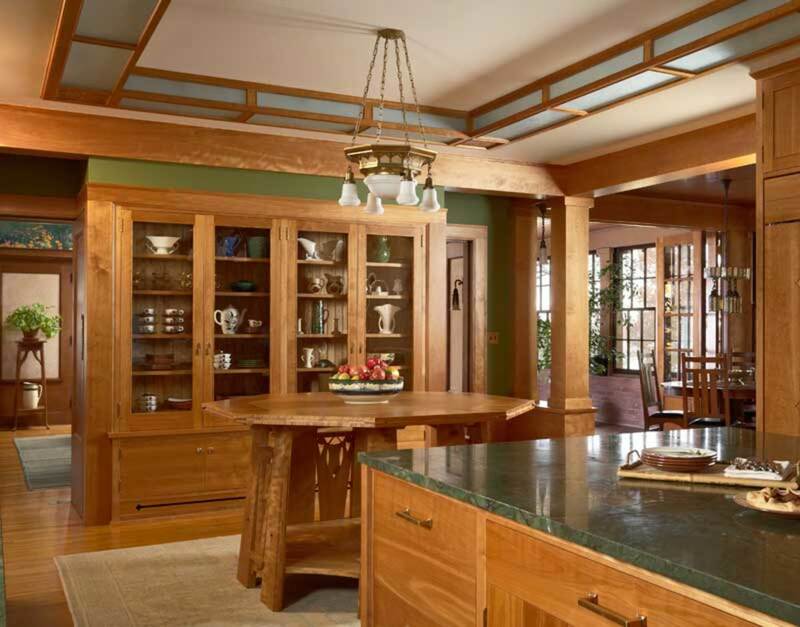 When she remodeled, Barbara, who is a landscape architect, wanted a kitchen to accommodate large parties, multiple cooks, and ample seating, yet be intimate for her own day-to-day use. 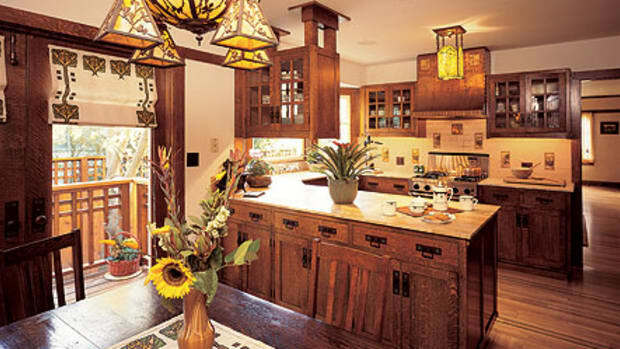 The kitchen design is beautifully expressed within period-style cabinetry, glass, and finishes. 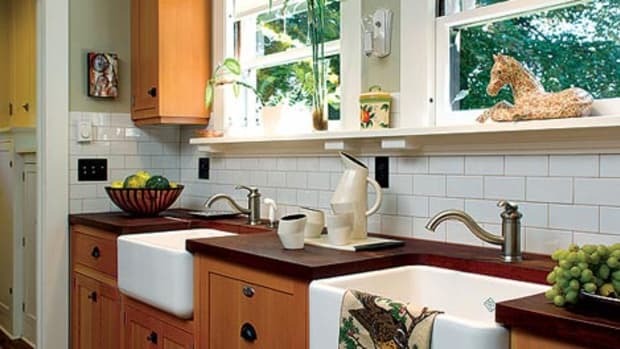 Many of the decorative details for the kitchen were designed by David Heide Design Studio. With an island, serving table, multiple prep spaces, and a wet bar, the spacious kitchen is comfortable for 12 or a catered party of 100. Barbara had hired David Heide to help with furnishing the home, but soon realized his sensibilities and preservation-mindedness matched hers. She engaged his studio to reconfigure the service areas, which were outdated and not, in any case, original. Project manager Brad Belka worked with David in a months-long collaboration with the owner. The custom octagonal buffet table is inset with a cork top for serving hot dishes. The octagon serving table started as a practical consideration and became a signature motif. 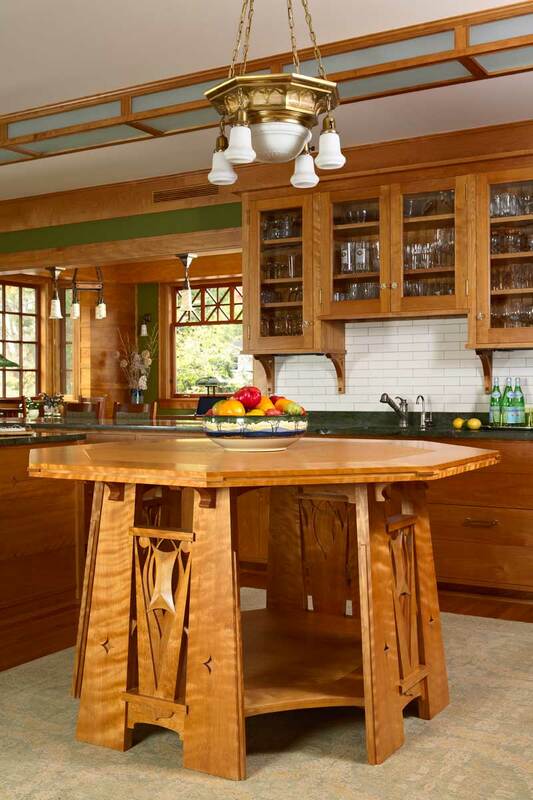 With a cork top, it’s a landing pad for dishes set out for buffet dining; an octagon is easier to walk around than a square or rectangular table. 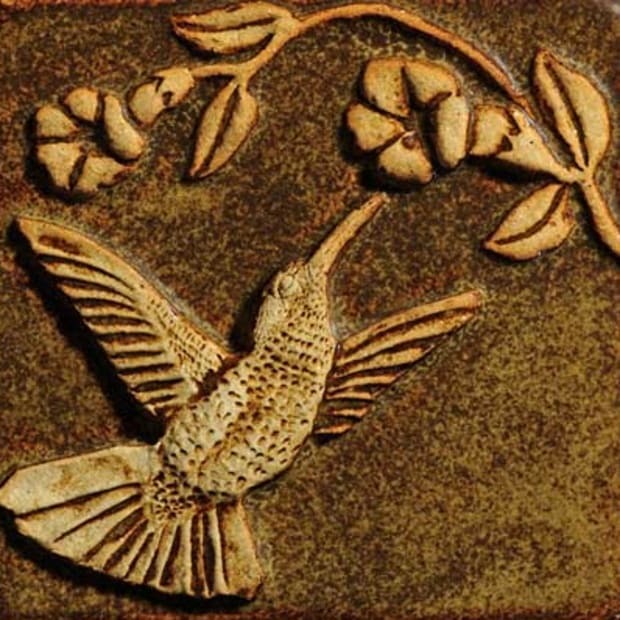 The design echoes a window by the Prairie School architect George Elmslie. 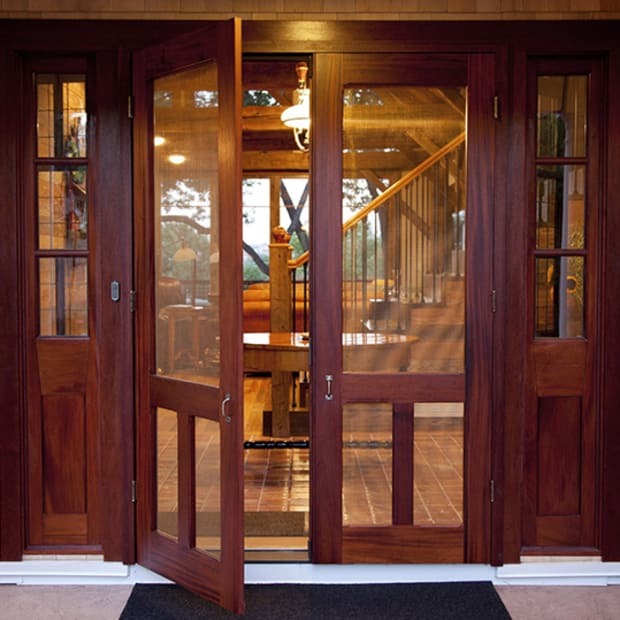 Barbara had acquired the antique art-glass window, and it ended up in the front entry during renovation. 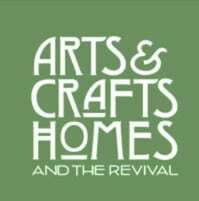 Preservation-minded David Heide Design Studio led the renovation. 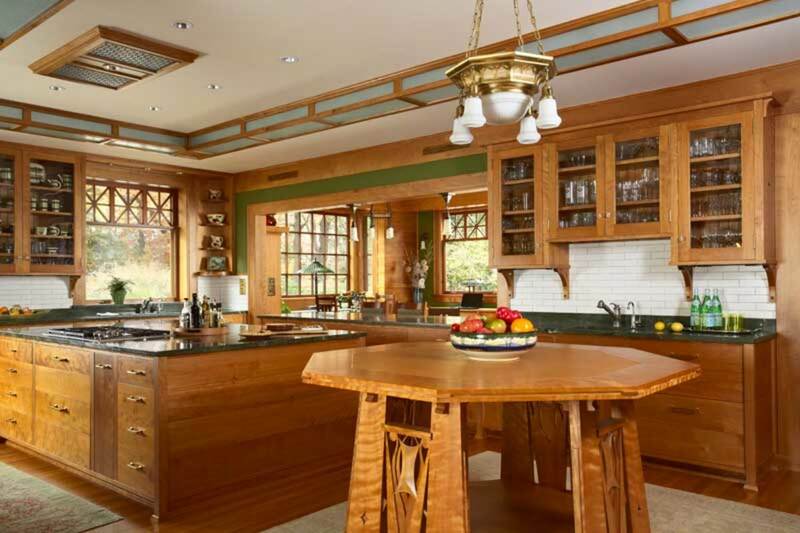 “The designer of the original house, Hugh Garden, was a Prairie School architect,” Belka says. 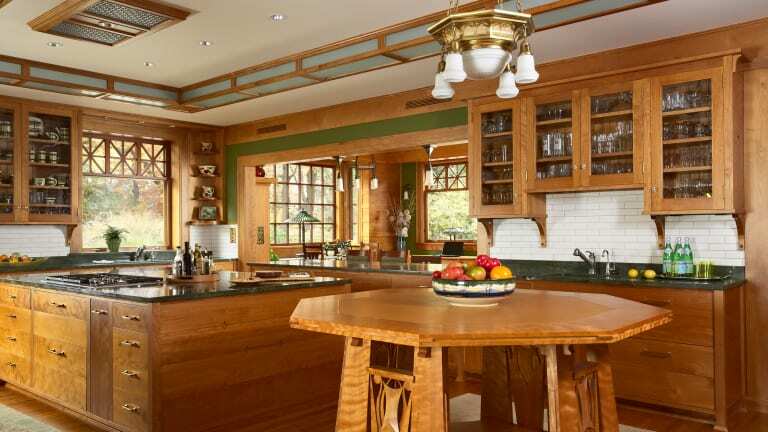 “While this house wasn’t expressly done in Prairie style, the design of the Elmslie window and the octagon table fit its overall aesthetic.” Frost Cabinets built the table. 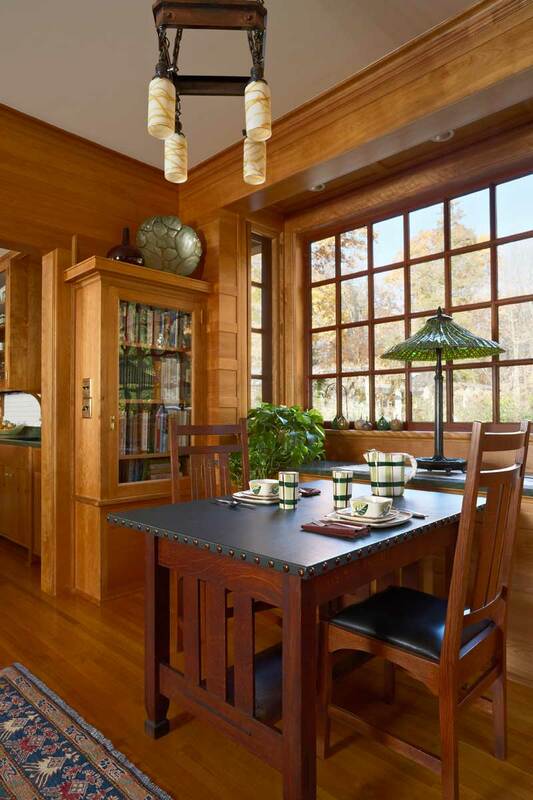 A southeast-facing morning room was extended next to the kitchen—a perfect place for breakfast. 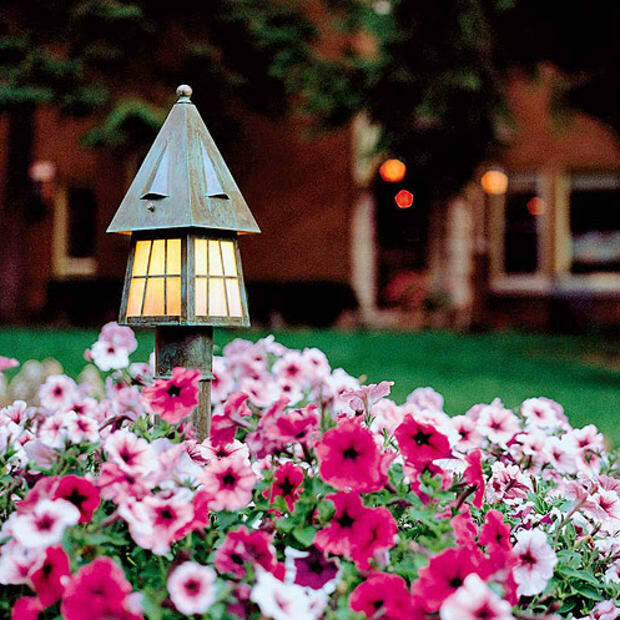 The vintage light fixture is from the owner’s collection. The kitchen remodeling extended to cleaning up the arrangement of little-used rooms in the back of the house. 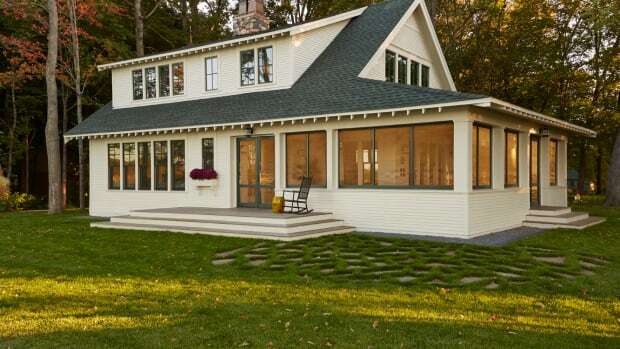 They were transformed into a formal entry and a morning room on one side of the kitchen, and a side entry, powder room, and potting porch on the other. The original lakeside rooms were left pretty much as they were. The time-blackened finish on oak trim and built-ins was just cleaned and revived. 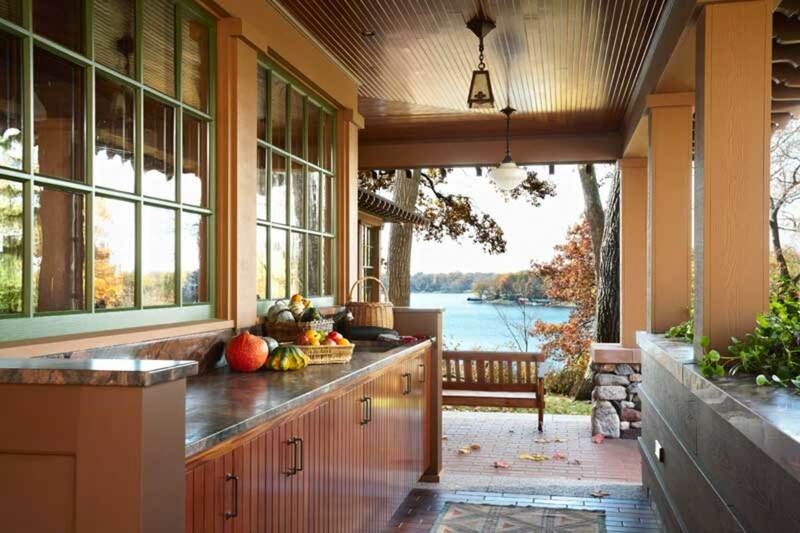 On the opposite side of the kitchen, a new potting porch opens to a lake vista; it doubles as an outdoor kitchen along with a grill on the terrace.